Saving languages and dialects from extinction has been a major concern world over in recent years. Jaunsari dialect has been a no stranger to this menace. It is estimated to have lost thousands of words during recent years as a silent language/ dialect killer is on prowl. Realising this danger to his dialect i. e. Ramesh Chand Joshi embarked on a very ambitious journey of creating a Dictionary of the Jaunsari words and terms. After about 7 years extensive work on this project he finally succeeded to produce a compilation which nobody had even thought about so far. Not many believed this was possible given that the task was to be started from scratch and also that no reference material was available. Hindi and English version of Jaunsari words and terms at the same time (three-in-one) was conceptualized to make it more useful but resulted in increased enormity of the task. With God’s grace and good wishes of friends and well-wishers, this dream-project of any Jaunsari speaking person was realised on January 24, 2010 infront of a gathering of thousands of people. The maiden Dictionary named ’Jaunsari Shabdkosh’ was formally released by Shri Khajan Das, Minster of Social Welfare, Govt of Uttarakhand at Vikas Nagar. 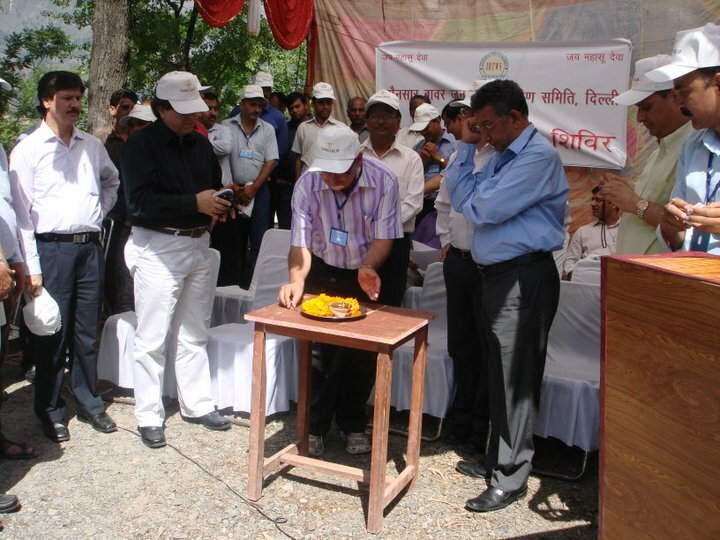 The occassion too was Jaunsar Bawar Mahotsav 2010 Vikas Nagar, Dist- Dehra Dun. The Jaunsar Bawar Parvatiya Janjati Kalyan Samiti Vikas Nagar which organised the Mahotsav deserves all credit for coming forward to become partner of this historic initiative. First Dictionary of the dialect-Jaunsari Boli. Jaunsari Boli (dialect) can now boast of having its own Shabdkosh, a distinction for a Boli-dialect. Contains a rare three versions Jaunsari, Hindi and English at the same time. 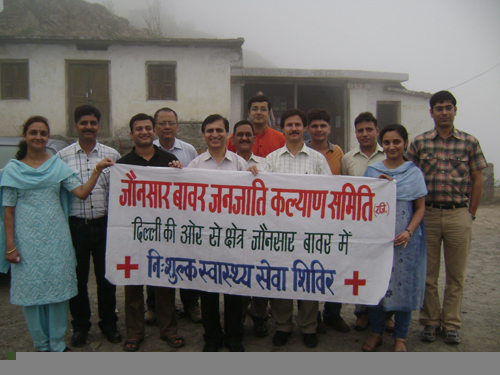 To benefit over five lakh Jaunsari speaking people in Jaunsar ( Dehradun), Jaunpur( Tehri Garhwal) and Binar( Dehradun) of Uttarakhand and Sirmaur District of Himachal Pradesh. For the first time an effort made to put together General Grammatical rules of Jaunsari boli ( dialect). Chapters also on Phrases, Idioms- Annane, Bujhawani-Puzzles, Dishes, Musical instruments. A Khatwise collection of Villages of Jaunsar Bawar. General rules to help read/pronounce English letters/words, thereby enable the Children in smaller towns/rural areas in strengthening their knowledge-base. To help the new generations re-invent/ connect to their roots and regain knowledge of their Boli, an important characteristic of the Jaunsari culture. To help arrest process of the extinction of a dialect a subject of international concern also being pursued even by UNESCO.